Watch highlights of the event below. Or watch the entire event here. Join us at the Paley Center for a discussion with Eric Whitacre and the premiere screening of Virtual Choir 2011 performing Sleep. Follow the live tweets @PaleyCenter on Twitter and use #VirtualChoir #PaleyLiveNY to join the conversation! In recent years Eric Whitacre has gained acclaim as one of the world’s most popular choral composers with his heartfelt, evocative music. 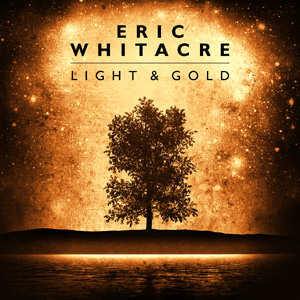 His album Light & Gold debuted in October at #1 on the Billboard Classical chart, following close on the heels of the phenomenal success of his first “virtual choir”—where 185 singers from 12 different countries recorded and posted on YouTube the soprano, alto, tenor, and bass parts of Whitacre’s Lux Aurumque (watch a video of this piece below). Whitacre presented his experience of the virtual choir in a TEDTalk in March 2010. Late last year the composer sent out a call to his fans on Facebook and Twitter for “Virtual Choir 2011”—which resulted in more than 2,000 singers uploading their renditions of Whitacre’s composition Sleep on YouTube. This event is part of the Robert M. Batscha University Seminar Series. To attend a private reception with Mr. Whitacre, join us for PALEYAFTERDARK/PALEY100. Call 212.621.6780 or email membership@paleycenter.org.